The Bühler Ecothermatik long-cut pasta dryer features a novelty with its ingenious dual-stick transport system as well as its improved aerodynamics, both ensuring total reliability and high energy efficiency. 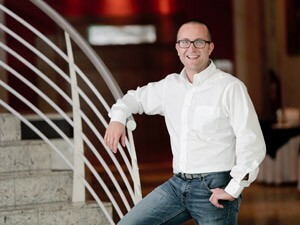 The result: significant energy savings and improved production reliability. And for the highest output capacities the system needs less floor space. At first glance, the pasta dryer’s key feature is its reduced energy consumption. But there is much more to it. The Bühler Ecothermatik long-cut pasta dryer is the result of Bühler’s intensive research and development of a revolutionary new drying solution that would not only use significantly less energy but impact production reliability and product quality at the same time. The dual-stick transport system is an innovation in the industry, and feedbacks from trade show participants and customers have been enthusiastic: «When we showcased our module at Ipack-Ima in Milan last year, customers and industry professionals were impressed by the smart solution developed by Bühler», says Marco Loschi, Product Manager Pasta. – 40% – 20% – 10%, what do those numbers mean? With its intelligent heat system and optimized air distribution the Bühler Ecothermatik pasta dryer saves an impressive amount of energy: compared to conventional dryers, thermal energy requirements are reduced by 40%, the machine needs 20% less cooling energy, and uses 10% less electrical energy. 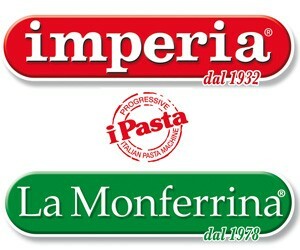 As a result, drying a metric ton of pasta consumes just 150 kWh instead of 250 kWh. 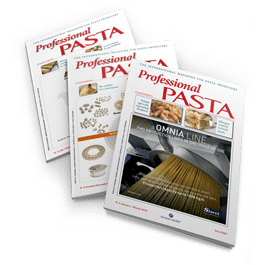 Since energy costs make up a significant portion of the total costs of long-cut pasta production, these remarkable savings directly result in higher profit margins. 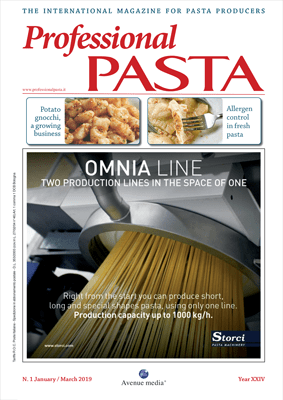 Bühler made a great deal of effort to present its customers an improved pasta drying process. 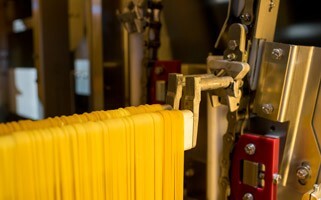 They redesigned the stick transport mechanics and came up with an innovation: the elevators in the Bühler Ecothermatik multi-tier pasta dryer pick up and lift two sticks at the same time, transporting them with a consistent precision. The patented pendulum is guided into its open and close positions by gravity and a system of mechanical guides and pins; no springs are involved, and therefore the correct handling of the sticks is always guaranteed. The sticks are always guided and held safely, without any sliding; with this, accurate pick-up and drop-off of the sticks is guaranteed and the risk of sticks incidentally falling down is further limited. For a capacity of 5.500 kg/h a regular vertical stick transport system runs with a velocity of about 150 mm/s. Working with two sticks at a time, the chain speed of the Bühler Ecothermatik is reduced by 50%, namely to 75 mm/s! 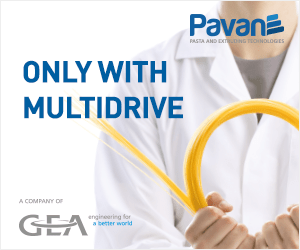 Less speed means higher accuracy, which results in enhanced production reliability. Last but not least, the mechanic system is running with one gear motor only, ensuring full synchronization of the entire process. The Bühler Ecothermatik features a new drying concept for pasta: the use of more humid drying air leverages the pasta glass transition curve and the pasta remains in its rubbery state throughout the whole drying cycle. This creates less structural stress, cuts down the risks of breakage and late cracks, and reduces the stabilization time by approximately 30%. The multi-tier design of the larger dryers fully exploits the reduced stabilization phase, which leads to less floor space requirement. In fact, the total line can be up to 14 meters shorter (16%) than conventional lines. The highly efficient blade geometries of the fans handle the required volume of circulating air and allow for a better air ventilation while reducing electrical energy consumption by approximately 10%. Additionally, the dryer chamber is designed to achieve a perfect air distribution. In combination with the heat exchangers positioned above the pasta it is ensured that the climate within the dryer is perfectly accurate at any time. Launched in 2012 for capacities between 1.000 and 2.000 kg/h, Bühler is now offering its Ecothermatik pasta dryer in a version that can accommodate capacities between 3.000 and 5.500 kg/h, a range of output that is key for market success.